Congratulations to our Client Tight Lines Jewelry for their feature on Sporting Classics Daily! At Tight Lines Jewelry, their goal is to never let that big one get away. Through their gorgeous pendants, earrings, cuff links, and more, they’ve managed to capture the majesty and the pleasure of the pursuit of fishing in an art form that can be treasured and enjoyed every day. 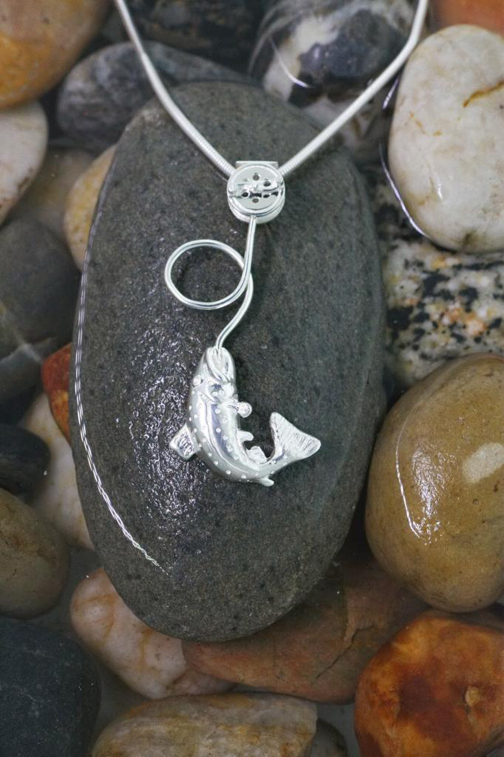 Each design in their series of pendants is made from high-quality materials with a satisfying weight and feel and an attention to detail that the ardent fisherman or woman can be proud to wear. From the kid who just experienced their inaugural fishing trip to the adult who has been on a hundred, these gorgeous pendants are a fun memento of when they felt that first tug on the line. Part trophy and part good luck charm, their pieces have been designed as an ode to the water, the fish, and the men and women in search of that elusive bite. Check them out at tightlinesjewelry.com!